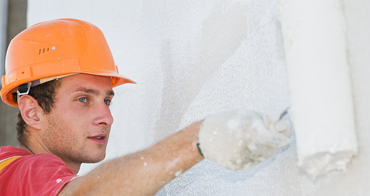 Providing quality workmanship for building repairs and maintenance work. 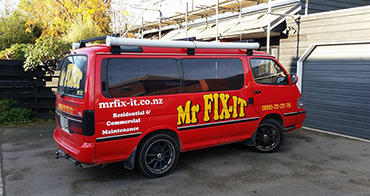 Mr Fix-It is a repair and maintenance franchise group providing quality workmanship for homes and business throughout New Zealand since 1998. 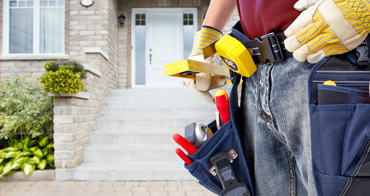 We provide jack-of-all-trades maintenance services for domestic, commercial and industrial clients. We look after buildings, assets and grounds, and offer a wide range of services including building maintenance, electrical work, rural maintenance and more, and we welcome jobs large and small. Mr Fix-It is like having your own personal handy-man. We are here to provide a solution for all of your ‘in between’ trades with a team that is available to deal with anything from tap washers to leaking roofs, rotten weatherboards to broken windows, and we can provide quality workmanship on the spot. Our Mission Statement: Mr Fix-it is a versatile, prompt and efficient service, maintaining high standards that ensure our client’s peace of mind. For whatever your maintenance challenge, our Mr Fix-It teams come well prepared with a vast array of tools in order to meet your needs for your home or business premises. There has always been the need for a good kiwi home handyman, and we offer guaranteed workmanship from skilled professionals, backed by the well known Mr Fix-It brand. We are always on the lookout for people with good old Kiwi ingenuity to join our multi-talented team! At Mr Fix-It we pride ourselves on providing professional assistance with a wide range of indoor and outdoor, large and small maintenance jobs.